Perhaps have you heard of an American Politician (the former Governor or the state of Utah) by the name of Jon Huntsman, Jr. ? 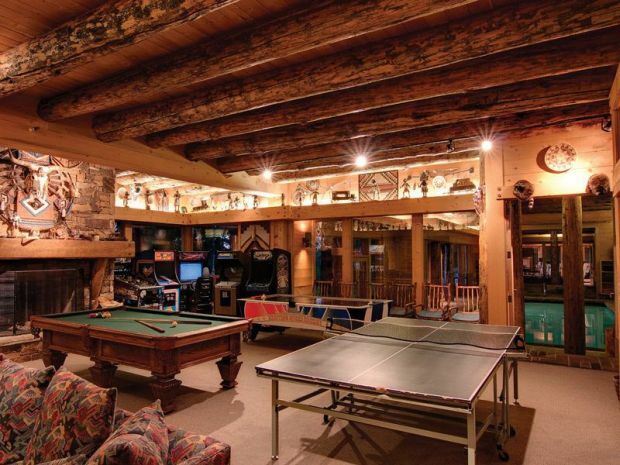 Well, this super lavish log mansion is owned by his Billionaire father. 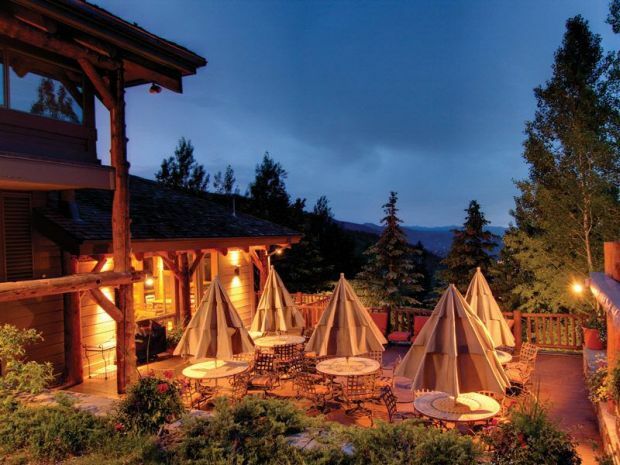 Located in Park City, UT, it’s actually up for sale now. The price tag, you wonder? Not to worry… it’s only a mere $34 Million. On 60 acres of land and boasting a dozen bedrooms and about a million other cool amenities, are you ready to open up your pocket book yet? If not, take a look through these photos and see if you change your mind! Jon Huntsman, Jr. is an American Politician, former Utah Governor and 2016 presidential hopeful. 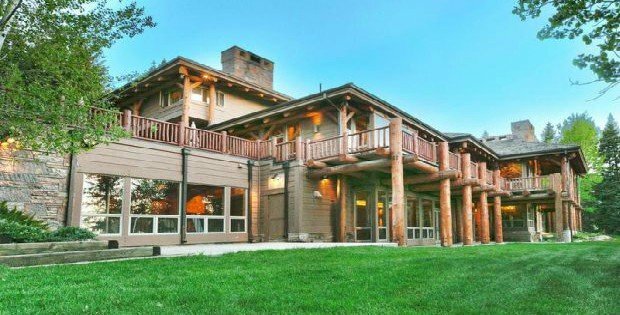 His dad, Jon Huntsman Sr., owns this amazing Park City, Utah cabin and is selling it for a reasonable $34 million price tag (it was once valued over $60 million). The 12 bedroom cabin is basically huge, covering 22,000 square feet in all. With 60 acres, a personal library and a 28 car garage, this thing is amazing. 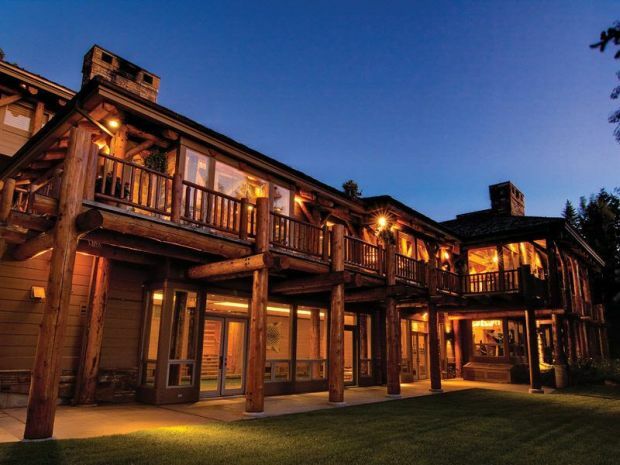 At one time, this was the most expensive ski home for sale in Utah and is located in the swanky Upper Deer Valley. The wood work inside is breathtaking. 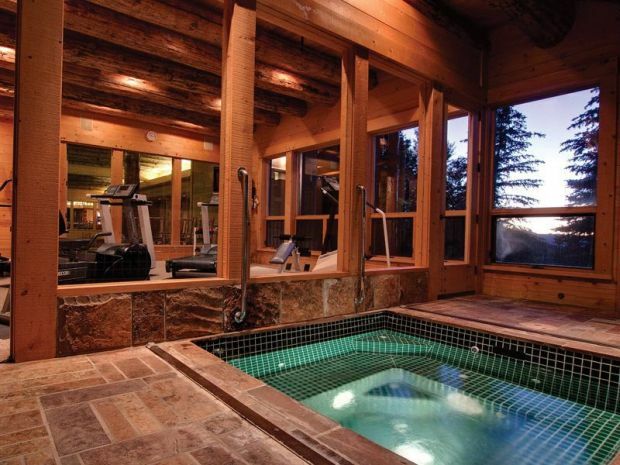 There’s an indoor pool, game room and even a hot tub. This home comes elegantly furnished with 12 bedrooms, 2 bunk bedrooms (20 mattresses), 16 bathrooms, large great rooms, dining room seats 20, indoor pool, fitness center, library, children’s playrooms, 6 and 22 car garages, and more.